Acupuncture That Works Cheshire › Posts Tagged "qi gong"
A Warm Welcome to Jenny Thomas! September 6, 2017 September 4, 2018 ATWAcupuncture, Latest NewsTagged new member, qi gong, studyLeave a Comment on A Warm Welcome to Jenny Thomas! We’re delighted to welcome Jenny to the team at Acupuncture That Works! Jenny’s passion for Chinese medicine was fuelled by her study of martial arts over the past decade.. She experienced the healing qualities of Qi Gong and acupuncture first hand, on a physical and emotional level, and began to get more involved with the theories and philosophies which lay behind these arts . This led naturally on to the study of Chinese Medicine, including acupuncture and Tuina medical massage. She also continues to study Qi Gong which she incorporates into her treatments where applicable. 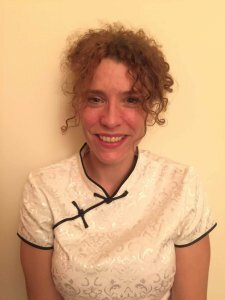 She studied at Shulan College of Chinese Medicine and Jade College of Oriental Medicine, gaining diplomas in Tuina and Acupuncture and has worked successfully in Scotland and Didsbury over the last year. Jenny has a background in western medicine, naturopathy and herbalism and has always been interested in different healing modalities. She brings enthusiasm to her work and has a true desire to aid others in their quest for health. To book an appointment with a member of the Acupuncture that Works team call us today on 0800 051 76 88.